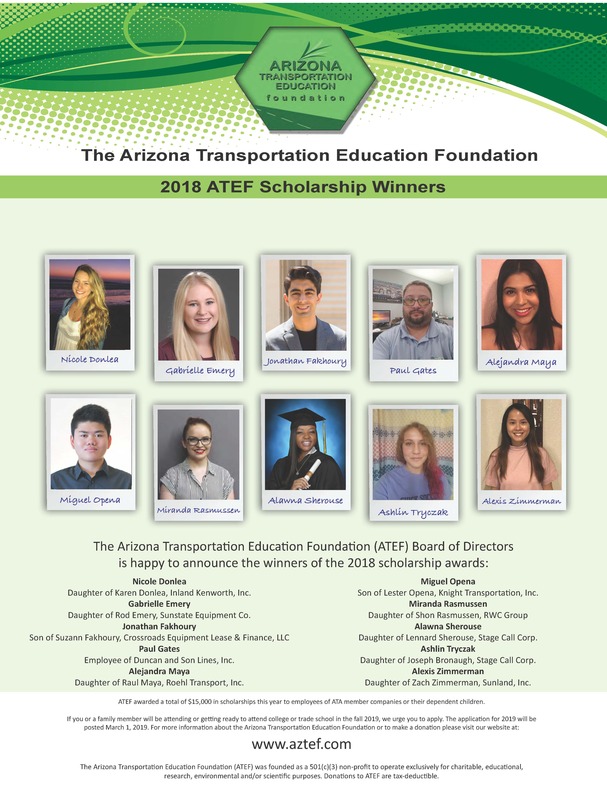 The Arizona Transportation Education Foundation (ATEF) was founded as a 501(c)(3) non-profit to operate exclusively for charitable, educational, research, environmental and/or scientific purposes. ATEF is a subsidiary of the Arizona Trucking Association. ATEF promotes and advances highway safety and a safe trucking industry through research, education, and promotional projects. ATEF fosters educational opportunities for individuals in the transportation industry in part through the awarding of scholarships; prepares and conducts educational activities and media programs about safety; and helps develop a better understanding of the transportation and trucking industry. Within the transportation industry, ATEF is one of only a handful of non-profits whose mission is focused on the research and public education necessary to promote a safe, economic, environmentally sound system of moving goods and providing related services. ATEF asks for your support of its research and education projects as well as of scholarships that would help transportation workers or their children continue into higher education. We hope you’ll consider supporting ATEF with your tax-deductible donation! 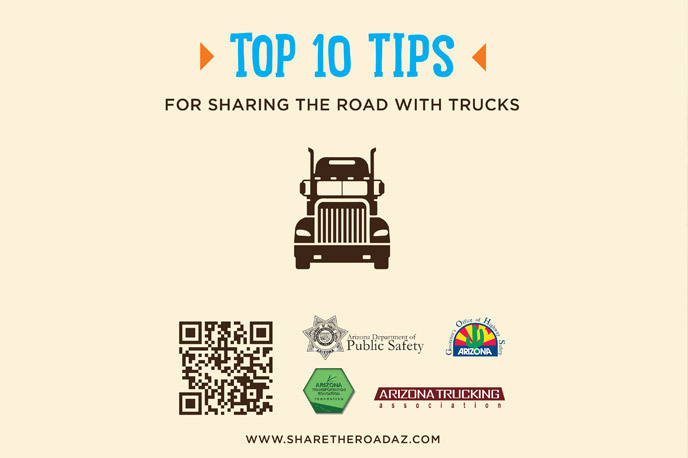 The “Share the Road” program’s goal is to educate all highway users, including passenger car drivers, motorcyclists and commercial vehicle operators, how to Share the Road safely to reduce truck-involved crashes. 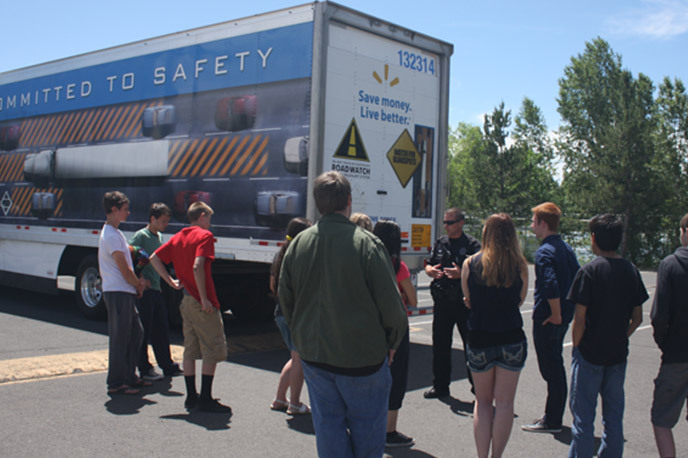 In partnership with the Arizona Department of Public safety, our “Teens and Trucks” program brings our Share the Road program to Arizona schools. Learn more and to request our program visits your school, click on the link below. 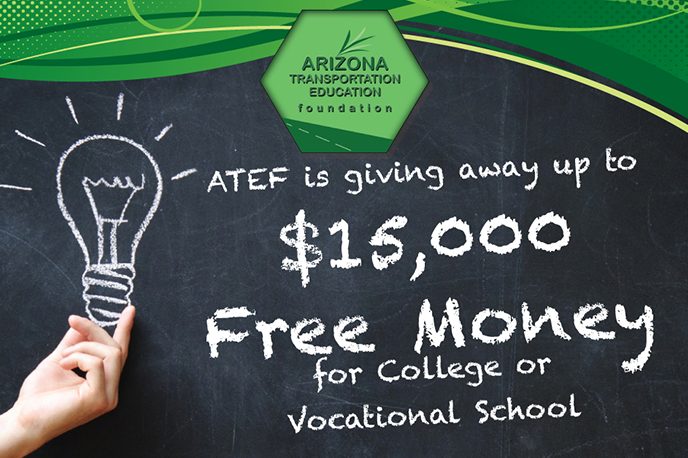 ATEF has established a scholarship program to assist member employees’ children and grandchildren who plan to continue their education in college or vocational school programs. Scholarships are offered for full time study at an accredited institution of the student’s choice.